It’s past midnight so it’s Fridaaay in this part of the world! I’m staying up late to write this blog post because I have no idea what time I’ll finish work later/tomorrow… Deadlines, I have them. I was in the office until 9:30pm tonight so I might not be able to put up a Filipino Fridays post if I don’t do it now. Buy Filipino books. I think the best way to support books written by Filipino authors is to buy copies of them and read them. Since I’m all the way over here in Singapore, it’s easier for me to read Filipino books when they have ebook editions. But I do make a point of buying print editions of Filipino books whenever I fly home. Spread the word about them. Whenever I’m in the middle of a Filipino book, I try my best to talk about it – both through my blog and with friends in real life. I bookstagram it, share quotes and excerpts on Goodreads updates, and recommend it to friends who might be interested. Feature them on the blog. Now the best blog-related thing that I can do is to post a review of the book. But that doesn’t always happen because sometimes real life gets in the way of things, and I don’t always have time to sit down and write reviews even if I want to. Which is why I’m willing to do other blog posts for Filipino books, such as round ups of books I’ve read, cover reveals, release date announcements, guest posts from authors, etc. Give them as gifts. I love that Amazon has a “give as gift” option, which I’ve taken advantage of to send Filipino ebooks to friends who read. I’ve also made the decision of buying Filipino books and giving them as Christmas gifts this December (which is why I haven’t started on my Christmas shopping). Because I’ll be killing two birds with one stone – encouraging friends to read while supporting Filipino authors. Share ideas and give feedback to Filipino authors. Now of course this depends on your rapport with the author and whether he/she will be willing to receive feedback from you. I’m always willing to share my thoughts and ideas, if any Filipino author wants to hear from me. 🙂 Like I said in a previous post, I’m not sure if it would help but if you’re a Filipino author and you think I’m part of your target market, I would be willing to be a beta reader or give feedback (as time permits). Okay, I’m about to fall asleep in front of my laptop so I’m ending this post here. 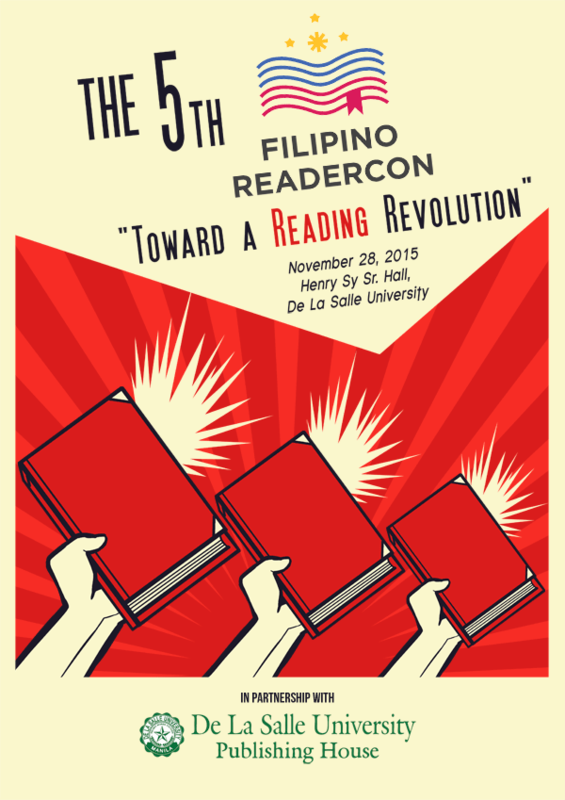 Any ideas on how else we can support Filipino authors? What are the five Things You Wish as a Filipino Reader? This could be anything! What stories do you want to see from our local authors? Which author do you want to visit the country? Would you want to see your favorite comic book become a live action movie? It’s time for you to share your ultimate wishlist from your perspective as a Filipino Reader. Go wild, go crazy! I found out that this topic was apparently partially inspired by my Top Ten Tuesday book genie post a few weeks ago, so of course that made me even more eager to come up with a list for this topic. I would love to have more books written by Filipino authors in the genres that I read. That would include contemporary, romance, epic fantasy, urban fantasy, sci fi, graphic novels. Both in young adult and adult categories. I think there has been an increase of Filipino romance books because of #romanceclass, and it would be great to have more books in other genres too. It would be amazing if I can find more Filipino books that give me book hangovers. If my first wish is about quantity, my second wish is about quality. I would love to have Filipino books that would make me go WOW. The kind that wouldn’t let me leave the world or story for a few days. The kind that would make me bibliovangelize. I’m not sure how to help make this happen? But if you’re a Filipino author and you think I’m part of your target market, I would be willing to be a beta reader or give feedback on your book if you think it would help. I wish more Filipino and non-Filipino readers will pick up and promote books written by Filipino authors. I admit that I could be better at this too. But whenever I do read a Filipino book, I try to spread the word about it as much as I can. I try to write a review or at the very least, post about it on Instagram. I’ve noticed that my posts about Filipino titles get less attention that posts about foreign books and that makes me sad. It would be awesome to have more indie bookstores or book cafes in the Philippines. Apparently, book cafes are now a thing in Manila? If I was still based there, I would be cafe hopping in these places like nobody’s business. I mean, who wouldn’t want to hang out in a cafe that’s meant for readers? They seem like great places to have book club discussions and meet ups too. I wish there were more online or blog events for Filipino readers, kind of like Filipino Fridays. 🙂 If I was in Manila, I would be wishing for more face-to-face events. But because I’m in Singapore, I can only participate in online stuff. A very selfish wish that I would add just as a bonus item is for friends or family to give me bookstore or Amazon gift cards if they have no idea what to get for me for Christmas or my birthday. 😛 I don’t want to seem ungrateful but I think this is something that every reader will be able to relate to? We probably spend so much on books that it wouldn’t hurt to get gift cards. What about the rest of you, what are your readerly wishes? Reading has given me a default activity. I’ve written a blog post before about how books are my constant, about how I may like certain things at any given point in time but that always fades while I will always be a reader. If I’m bored or can’t think of what to do, I can always just pick up a book. Actually in whatever mood I’m in, I can always just read a book. Reading keeps me steady. There have been times in my life when I’ve been in difficult situations and I felt like reading and book blogging have helped keep me grounded. For example, I had a tough time adjusting to living abroad on my own, when I first moved to Singapore more than three years ago. And I really wouldn’t have known what I would have done if I didn’t have books to read and the book blogging community to relate to. Sometimes when I had a bad day at work or I’m unhappy for some reason, I just tweet and say “I need a good book, stat.” and I would get recommendations. And when I read a book that’s able to take me away from my current situation, it really helps keep me on my feet when I have to face reality. Reading has led me to book blogging and has helped me make friends. Of course I’m talking about all the book friends I’ve made through reading communities and the book blogosphere. Our love of the written word connects us all. Even better is when we find people who love the same kind of books that we do. In another one of my previous posts, I mentioned that book blogging is more than just a hobby, it’s a lifestyle. So much thought, time and effort goes into maintaining a book blog, and the social media sites connected to it, that it’s much more fitting to describe it as a lifestyle. I have learned to break my boundaries because of reading. This statement can be interpreted in many ways, such as how I’ve learned to explore genres that I wouldn’t have tried if not for recommendations from trusted authors and bloggers. Or how I’ve been able to explore and travel to other worlds, both real and fictional, through the books that I’ve read. I just like how reading enables us to be more open to experiences. Reading helps me lose myself but also helps me find myself. I’m an escapist reader so I love losing myself in a good book. But even if the characters in the book that I’m reading are in situations that I would never find myself in, there are still instances where I could totally relate to what they’re thinking or feeling. Certain lines or paragraphs would make me go, “YES! Exactly this!” So in a way, I feel like I find parts of myself in the books that I read. 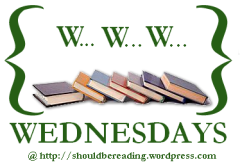 WWW WEDNESDAYS… is a weekly event where you share (1) What you’re currently reading, (2) What you recently finished reading, and (3) What you think you’ll read next. Yay, it’s Wednesday and the middle of the week. Just a few more days until the weekend. I’m looking forward to this weekend because I’ll be seeing two movie adaptations: Catching Fire on Friday and then Ender’s Game on Saturday. I hope I’ll be able to squeeze in some reading time as well. So here’s a quick mid-week update care of WWW Wednesdays. 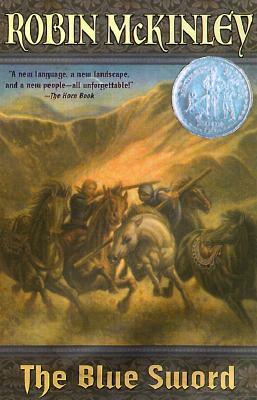 I just finished reading The Boneshaker by Kate Milford, which we are discussing in the YAckers book club. I had a hard time getting into it because I found the first half slow but things picked up towards the end. But by that time, I just wasn’t invested in the characters so I didn’t like it as much as I was expecting. Still, check it out if you’re a fan of MG fantasy because it might be something that you’ll enjoy. I just started reading Welcome to Envy Park by Mina V. Esguerra, a Filipino chick lit novella, on my Kindle. It’s always fun to read Mina’s books because I can relate to the characters. Even more so for this one because the MC worked for five years in Singapore and is now back in Manila. I’m liking it so far. I’m also in the middle of The Book Thief by Markus Zusak but I have the paperback and I usually leave my copy at the flat. Since I do most of my reading on the train, I haven’t made that much progress on it. This made me realize that I’m really using my Kindle a lot more these days so maybe I should get more ebooks rather than physical copies in the future. What about the rest of you – what book have you just finished, what are you in the middle of and what are you planning to read next? Have you seen Ender’s Game or Catching Fire? If yes, what did you think of it? I can’t believe it’s only Wednesday because I’m ready for the weekend! Anyway, I thought it would be a good idea to post a quick update by participating in WWW Wednesdays. Yesterday, I finished reading Truly by Ruthie Knox, a contemporary romance novel that was made available in serial form. It’s one of my favorite romance reads this year and the whole book is now up on Wattpad if any of you would like to check it out. Before that, I finished read the two volumes of the Saga graphic novel series by Brian K. Vaughan and Fiona Staples that are currently out. Another really good read! Hopefully I can review them soon. 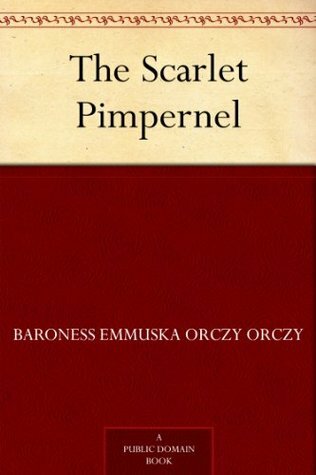 I’m in the middle of The Scarlet Pimpernel on my Kindle. 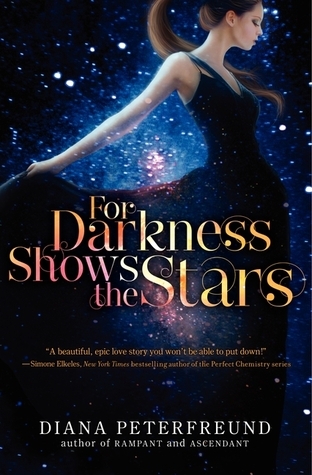 This title has been recommended several times for fans of Megan Whalen Turner’s writing and I decided to bump it up since I’m curious about a retelling of it (Across a Star-Swept Sea by Diana Peterfreund). I also started Fire and Hemlock by Diana Wynne Jones, which was supposed to be my Halloween read but I haven’t been able to get back to it. 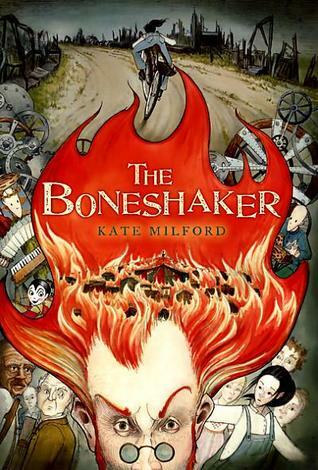 I’m planning to start on The Boneshaker by Kate Milford because the YAckers will be discussing it this month. A few weeks ago, I mentioned that I wanted to read The Book Thief by Markus Zusak before the movie comes out and I still haven’t done that. Although I haven’t seen an announcement on when the movie will be released in Singapore. What about the rest of you, what book have you just finished, what are you reading and what are you going to read next? The blog has been really quiet since last week because I flew to Manila for the weekend. Whenever I go back home, I rarely have enough time to go online and update the blog. I thought it would be a good idea to do WWW Wednesdays this week to let you guys know what I’ve been reading. Last book I finished: The last full-length novel that I finished was The Chocolate Heart by Laura Florand. I always enjoy reading Laura’s Amour et Chocolate novels and this one was no exception. It was a really good read, I hope I find time to review it soon. 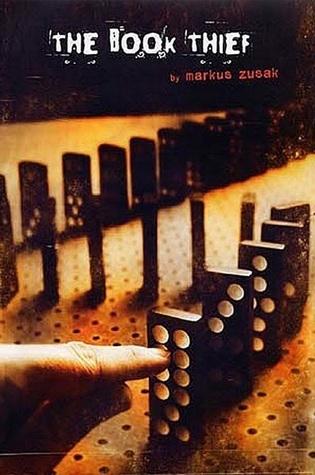 Planning to read next: I’ve had my copy of The Book Thief by Marcus Zusak since 2007 and I still haven’t read it! The movie will be released soon and I want to watch it so I need to bump this up the TBR pile. 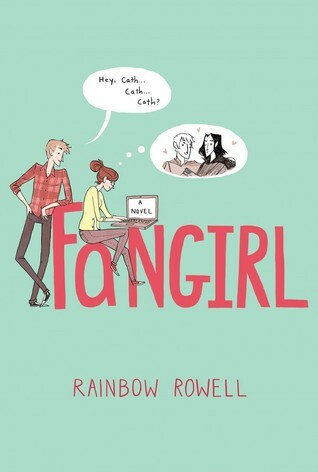 If I end up loving Fangirl, I might be tempted to follow it up with Rainbow Rowell’s other YA novel, Eleanor and Park. What about the rest of you, what have you just finished reading, what are you currently in the middle of, and what are you planning to pick up next? It’s Wednesday, middle of the week! The weekend is just around the corner. While I don’t participate in WWW Wednesdays every week, I still think it’s fun to do from time to time. This way, I get to talk about books that I might not get a chance to review later on. 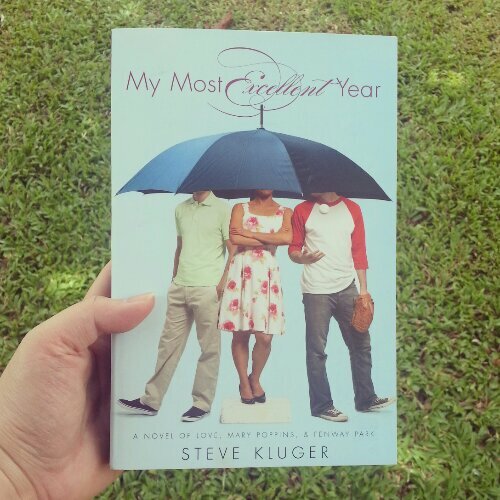 Last book I finished: My Most Excellent Year by Steve Kluger, which I wrote a Retro Friday review for. It’s an under-the-radar contemporary YA novel that I think more readers should check out. It was such a fun and heartwarming read for me. 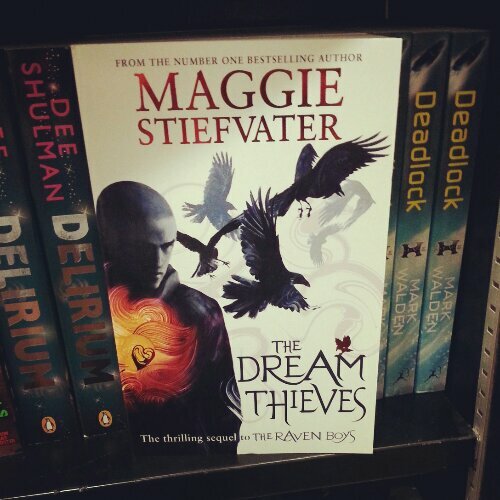 Currently reading: The Dream Thieves by Maggie Stiefvater, the sequel to The Raven Boys. 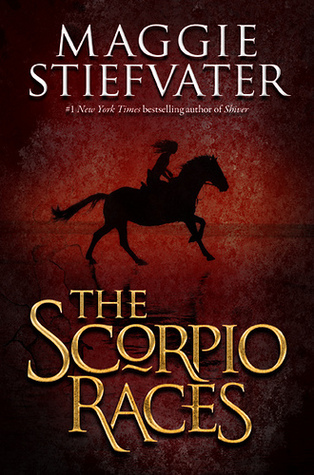 I enjoyed reading The Raven Boys but my favorite Maggie Stiefvater novel is still The Scorpio Races. However, several book blogger friends have been raving about The Dream Thieves so I have high hopes for this one. I’m halfway through and I’m enjoying it but still waiting to be wowed. 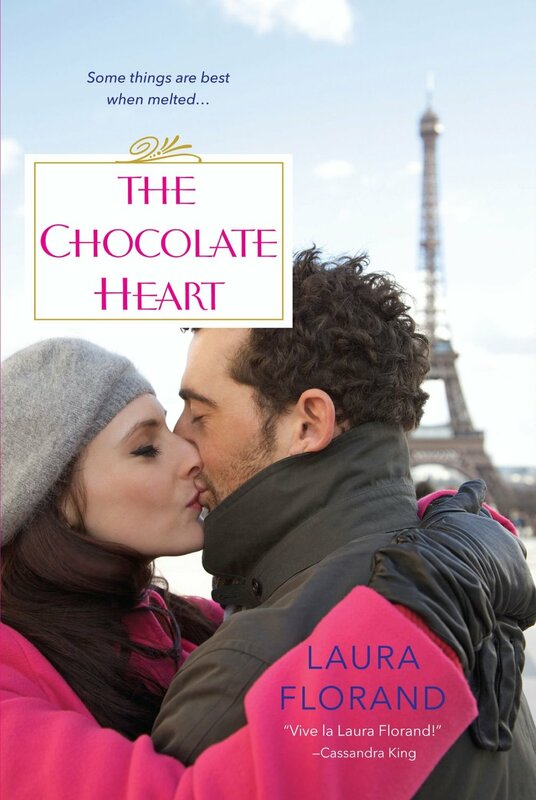 Planning to read next: I requested and got approved for The Chocolate Heart by Laura Florand on NetGalley, the fifth book in the Amour et Chocolat series. I’m so excited to read this because the release date isn’t until November 26 but the galley is already available. 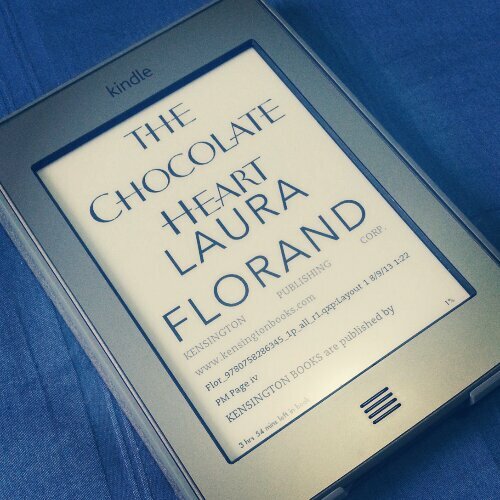 I love the Amour et Chocolat series and it’s nice to have a new Laura Florand title in my Kindle. What about the rest of you, care to answer the three questions thrown out by this meme? What book are you currently reading, what have you just finished and what are you thinking of picking up next? I’ve seen WWW Wednesdays around the blogosphere but this is the first time that I’m participating. You know when you feel like publishing a post on the blog but don’t have the energy to write a review? I think memes like WWW Wednesdays are a good idea for times like these. 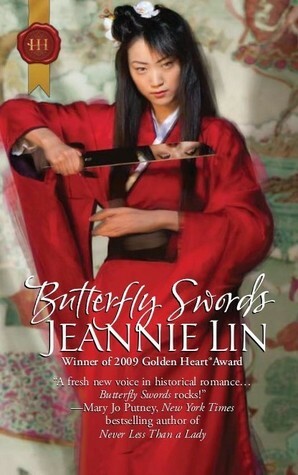 What you’re currently reading: I’m currently in the middle of Butterfly Swords by Jeannie Lin, a Chinese historical romance. I’m enjoying it so far and I find it interesting because this is the first time I’ve read an Asian historical romance. What you recently finished reading: I just finished rereading one of my favorite novels, The Blue Sword by Robin McKinley. It’s this month’s pick for our book club discussion. It was just as lovely as I remember it and I don’t think I’ll ever get tired of rereading it. I need more books like that in my life. 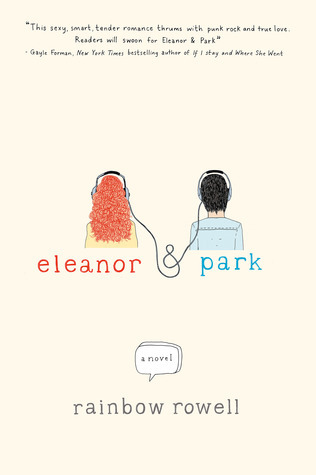 What you think you’ll read next: I haven’t read any contemporary novels, both adult and YA, in a while so I’m thinking I can read either Eleanor and Park by Rainbow Rowell or Paper Chains by Nicola Moriarty next. Or any other contemporary book in my TBR pile. What about the rest of you, care to answer the three questions above? Found this meme through Angie, Janice and Nomes and since I don’t have any posts lined up for today, I thought I’d do this quick meme to let you guys know what I’ve been reading lately. I promise I’ll come up with reviews soon. 🙂 I’m still experiencing a vacation hangover and I’d rather be lazy than do anything productive. 1. 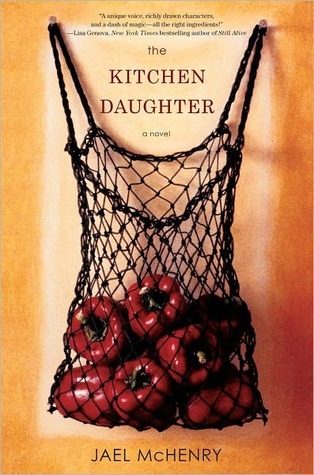 Book I am currently reading: The Kitchen Daughter by Jael McHenry, which I won in an ebook contest held by MangoJuiced. I’ve been wanting to read this for a while so thank you, MangoJuiced, for giving me a copy. I’m only 20% in but I’m liking it so far. I’m reading this on the Kindle Boyfriend. Even though I left Kindle Boyfriend at home during the weekend (didn’t want to risk it getting damaged at the beach), I didn’t start on anything else while I was away so I can just continue reading this one. 2. 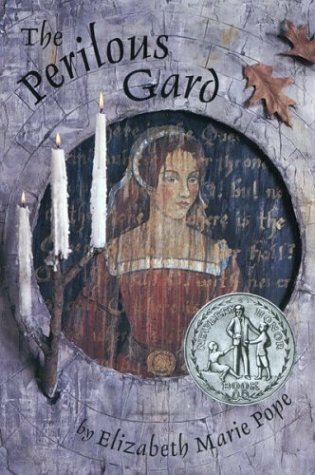 Last book I finished: The Perilous Gard by Elizabeth Marie Pope – I bought my copy of this back in 2007 and I finally got to read it! I’m hoping to review it in this week’s Retro Friday meme. 3. Next book I want to read: The Scorpio Races by Maggie Stiefvater, which was my most recent Want Books pick. Read these reviews from Angie and Holly and you’d understand why I can’t wait to read this book. 4. 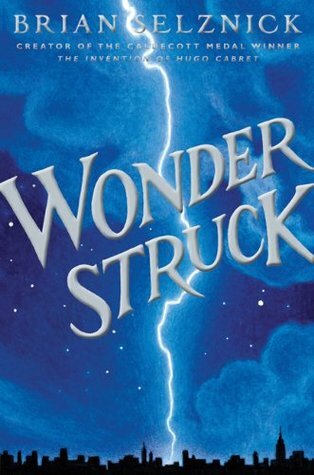 Last book I bought: Wonderstuck by Brian Selznick – I couldn’t help but grab a copy when I saw it in a local bookstore. I know this one will be a quick and enjoyable read because of all the illustrations mixed in with the text and I’m hoping to read it soon. 5. Last book I was given: Same answer as number 1. What about the rest of you, what are you reading lately? If you answered the same meme, feel free to leave a link in the comments section. Waiting on Wednesday is a weekly meme hosted by Jill over at Breaking the Spine. WoW posts are about books that you can’t wait to get your hands on. I haven’t done a Waiting on Wednesday post in a while because it’s similar to my Want Books meme. 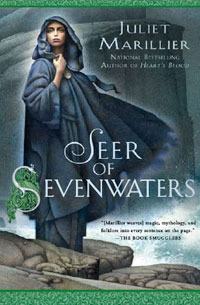 However, since I just finished reading the first four books in the incredible Sevenwaters series by Juliet Marillier, I decided to post about the next book in the series – Seer of Sevenwaters, due out in December 7. The young seer Sibeal is visiting an island of elite warriors, prior to making her final pledge as a druid. It’s there she finds Felix, a survivor of a Viking shipwreck, who’s lost his memory. The scholarly Felix and Sibeal form a natural bond. He could even be her soul mate, but Sibeal’s vocation is her true calling, and her heart must answer. Although it’s part of a series, I don’t think readers need to start with the others before reading this one but then again, why miss out on the amazing books that come before this? Let me convince you further, check out my review of Daughter of the Forest, the first in the Sevenwaters series and a retelling of the Brothers Grimm fairy tale entitled Six Swans.